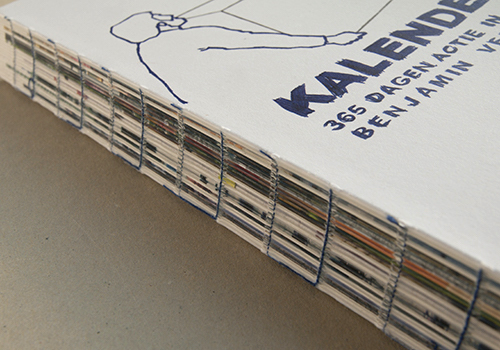 Benjamin Verdonck completed his work Kalender on January 2nd, 2010. 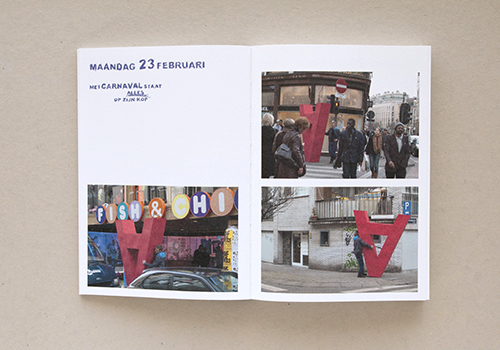 Over the previous 365 days more than 150 actions had taken place in Antwerp. 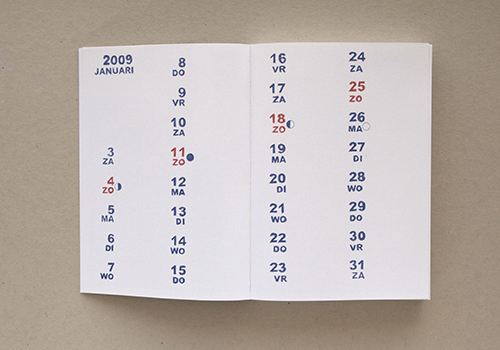 They related to traditional holidays, the change of seasons, geopolitical shifts, Mother’s Day, Friday’s late-opening night, 9/11, April Fool’s Day. 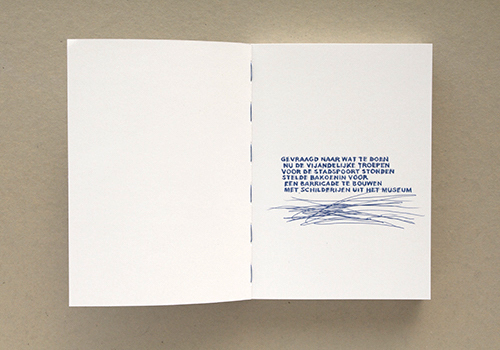 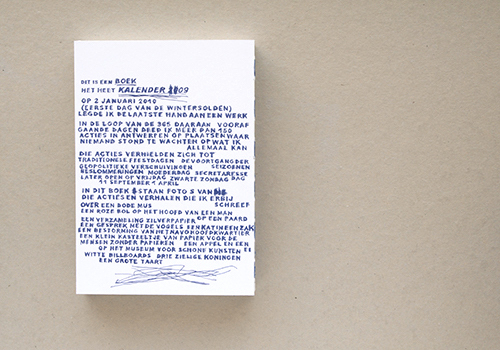 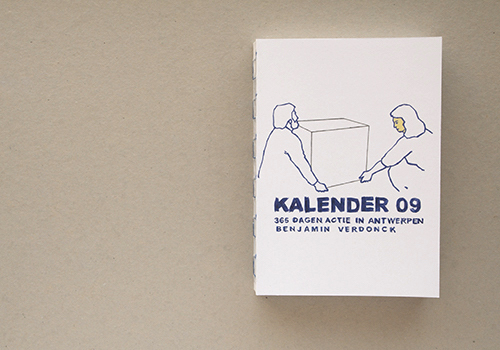 The book Kalender tells the story of this work in pictures and texts by Benjamin Verdonck. 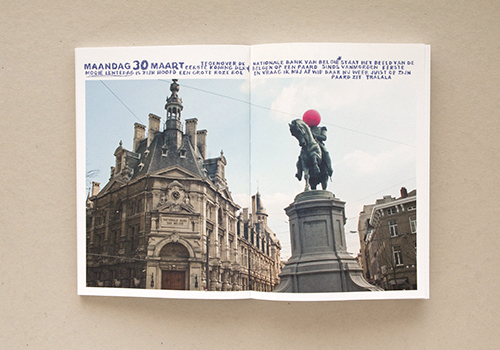 A dead sparrow, a pink globe, an aluminum foil collection, a conversation with birds, the storming of NATO Headquarters, a small paper castle for people without papers, scale models, stickers, pastries, a letter and Post-Its.